Forget Resolutions, I’m Picking a Word. In years past, I’ve sometimes made New Year’s resolutions and sometimes not; but as noble as the idea sounds, I’ve always felt they are rather pointless because they just wind up being a source of disappointment by highlighting a person’s shortcomings in the end. I found this article about skipping New Year’s resolutions and simply choosing a word for the coming year. It can be anything – noun, verb, adjective – just one word. I have to say I really like this idea – it’s the opposite of depressing! I think picking a word for the year could be an optimistic, uplifting, encouraging, inspiring, and (dare I hope?) motivating thing. All the things that people wish for in a resolution. I cannot fail at a word because it’s just a word. A word can have multiple meanings, and allow for more thinking outside the box, compared to a resolution. It could be fun to discover new ways to define a word in relation to your everyday life. After much pondering, I have chosen a verb as my word, mainly because I feel the need to be active somehow. 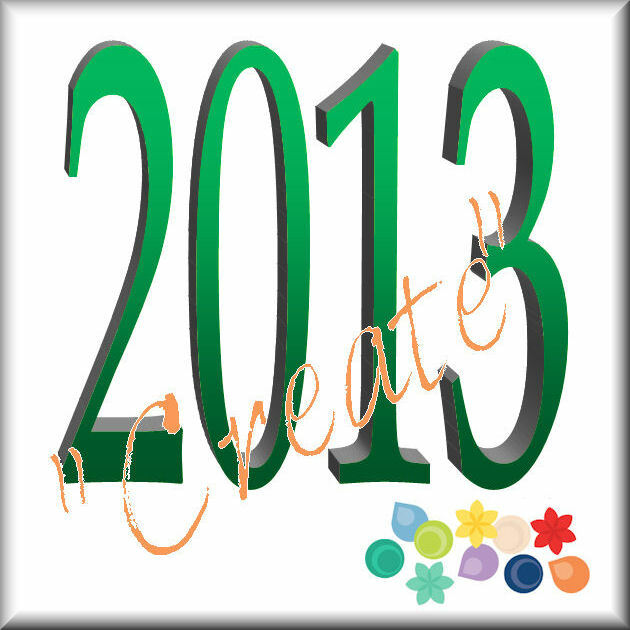 My word for 2013 is Create. It has a number of meanings and its origin (creatus) is related to the word crescere which means “arise, grow”. Very cool to go with a word. I think I’ve managed to keep my year goals super basic cos from last year to this, I actually fulfilled a lot of my goals. I’m working on a list of 5 goals for 2013. I’m gonna add a word…which is amazingly hard. Yeah, it is harder than it sounds like it would be! (It took me quite a while to decide on my word.) Can’t wait to learn what you choose! oh, the pressure. heheh just kidding. I like the idea of making one word the focus for the new year. “Create” is an excellent choice, and one I think would have described my 2012 pretty well, but for 2013 I think I would have to go with “Explore”. Good luck “creating” awesome things in the new year! Less disappointment with self = always good. I hope your next year is indeed full of creativity! I don’t know if I can abandon resolutions for a word just yet, as I think I need the structure, but I certainly like the idea of having a theme! Happy New Year! I still set goals for myself, but they are usually more short-term. I suppose it’s because I work better under pressure and would wait until the last minute (meaning the last week of December) if I set a year-long goal, hehe. By choosing a word, I hope to start a habit. =) Happy New Year to you too! I am very intrigued by this idea, and although I still will put my 2013 goals in writing (eternally optimistic here! ), I have come up with a word, too. It is SMART (yes, all caps), and it actually is a concept I was thinking about doing a blog post on – so now I will for sure – sometime soon! Happy New Year, Brooke – I know your 2013 will be well served by your word of the year! Can’t wait to see what you do with it. Oh, an interesting choice! I can’t wait to read your post about it! And Happy New Year to you!